Yesterday, I posted about how Rejuvenation selected the modern paint colors for their lighting line. 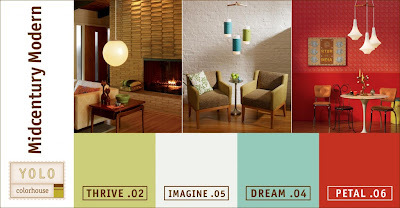 Well, paint company YOLO Colorhouse has gone on to create a mid-century modern color palette based on Rejuvenation's Mid-Century Modern lighting collection. Inspired by Rejuvenation’s period lighting lines, we decided to pull together architectural color palettes designed to flow through the home and influence, along with the fixtures, the style and feel of the space. When looking through our collection of 92 interior hues, it was great fun to have Rejuvenation fixtures as the inspiration behind our own period palettes. When describing the Mid-Century Modern color palette, YOLO Colorhouse says, "Sleek, clean and a hint of playfulness: These are the characteristics of our Mid-Century Modern palette." Capturing the "elegant, yet slightly whimsical feeling of the 1950s." 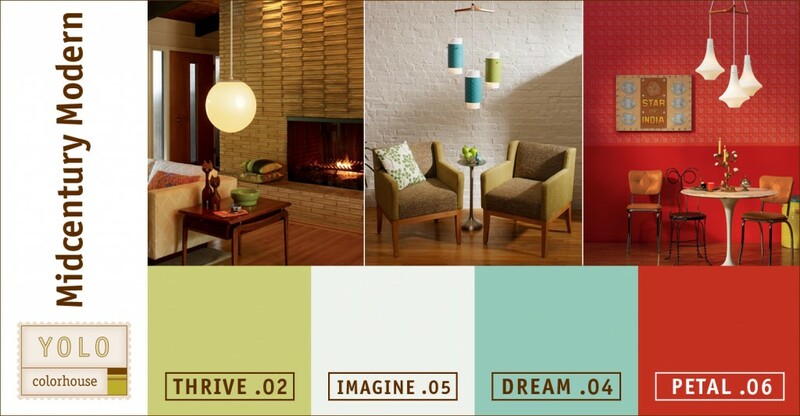 I think the green, blue and red (Thrive, Dream and Petal) would make a wonderful accent color for any mid-century room. 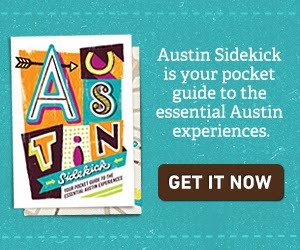 Or maybe even a good color for if you're looking to make the door on a mid-century ranch pop. Beautiful colors! I'm overdue a trip to the Rejuvenation website.